My 2018 Calendar is SOLD OUT! Thank you to everyone who purchased one. Check back in 2019 for a brand new calendar!! ​It is the love of and respect for all living creatures that drives me to paint animals and try to capture their unique quirks and personalities. I love showing them from my slightly off center perspective, which is truly meant to make you smile. 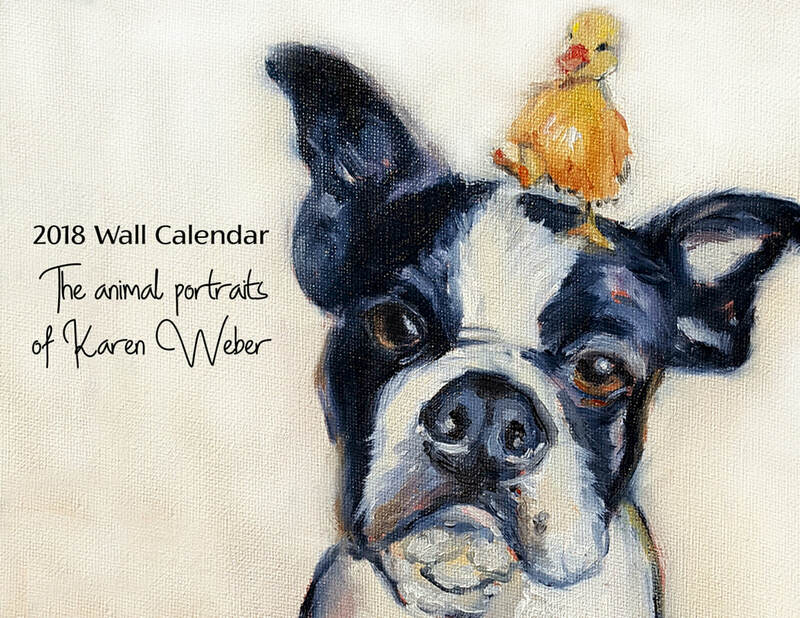 This classic wall calendar features a new image every month of one of my fanciful animal portraits. 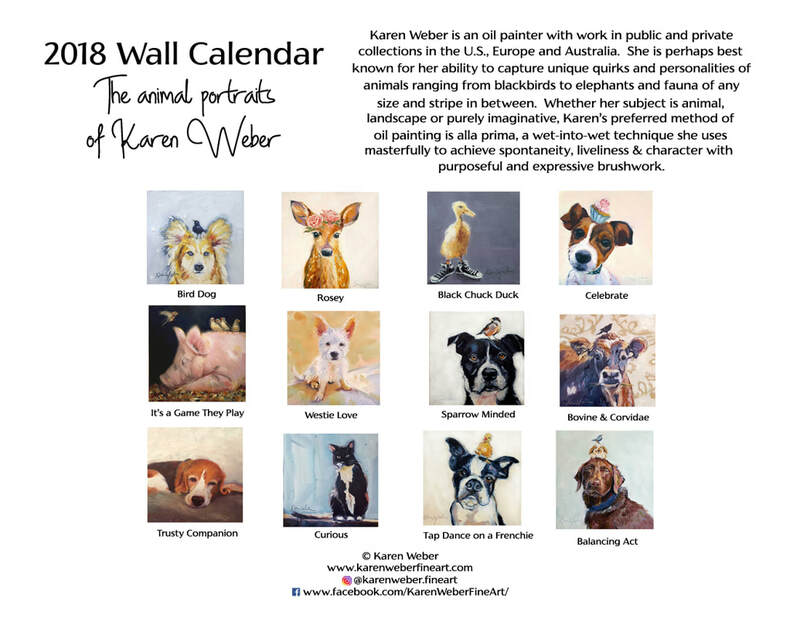 Made of premium glossy card stock, it makes a perfect gift for animal lovers and anyone who needs a little more delightfulness in their lives.